Everyone in Ireland agrees that Cork, the largest county and the one farthest to the south, sets the most sumptuous table on the Emerald Isle. From its farms, rivers, and ovens come butter and milk of almost biblical goodness, cheeses to silence French snobs, beautiful fish, scones and jams sweet enough to make the English commute. Much of this regional bounty is on display at the Covered Market—a.k.a. the Old English Market—in Cork city; but don't expect some folkloric bazaar lost in a time warp. Here, under a grand vaulted ceiling, such vernacular foodstuffs as crubeens (pig's feet) and phantasmagorical innards sit cheek by jowl with fromage from organic farms in the mountainous west, delectable breads, and girth widening pastries. We also visit Kilkenny, Dublin and famous cookery School in Wicklow! Featuring: Dublin, Wicklow, Kilkenny, Cork, Kinsale and Kildare. Please note that this is an a la carte menu (nothing is set in stone), and you don’t have to do everything or anything that we have suggested. 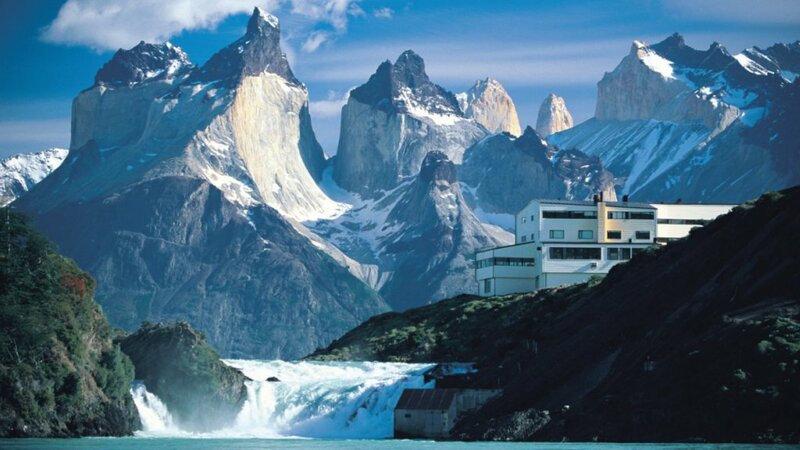 Your itinerary is a rough diamond and your driver guide a jeweler who will polish it into a sparkling gem! Discuss with your driver guide your personal preferences. Private transfer from Dublin Airport to the hotel. Depending how early or late the flights are there are few options today or just have a free relaxing day to acclimate. OPTIONAL: Visit to Guinness Storehouse. There is always availability the Brewer’s Dining Hall and Arthurs Bar, both serving food &amp; drink. Guinness Storehouse is the number one international visitor attraction in Dublin. It is a "must see" visit in any tour of Dublin and is located in the heart of the Guinness brewery at St James’s Gate. Housed in an old Fermentation Plant, now the seven-storey visitor experience tells the history of the making of this world famous beer. 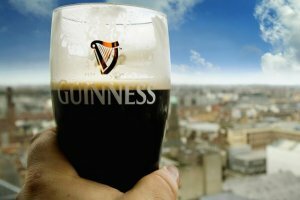 It is a dramatic story that begins over 250 years ago and ends in Gravity Bar where visitors will receive a complimentary pint of Guinness while relaxing and enjoying spectacular views over Dublin. Exclusive Guinness Connoisseur Experience, at 12pm -2pm -4pm, is the ultimate Guinness tasting session, for the ultimate Guinness fan. In a luxurious private bar, discretely tucked away in a secluded area of the Guinness Storehouse, the guide will take you on a journey through the tastes, traditions and stories of the four most popular variants of the "black stuff" - Draught, Original, Foreign Extra Stout and Black Lager. This is a once in a lifetime opportunity to explore the rich heritage of our iconic brand and discover why Guinness truly is "Made of More"™". The Connoisseur Experience sessions are held daily. Each session lasts approximately 1.5 hours and places per session are limited. OPTIONAL: Literary Pub Crawl Colm Quilligan kicks off the Literary Pub Crawl with a song - Waxie's Dargle, with cheerful lines such as "When food is scarce and you see the hearse / You'll know you've died of hunger" - then takes us from the Duke pub through the cobbled square of Trinity College and into several pubs in a nearby maze of narrow streets. Overnight at Westbury Hotel Dublin. Meet your Dublin Walking Guide On the award winning Dublin Walking Tour, Dublin Tasting Trail, we visit a range of bakeries, food halls, street markets, cheesemongers, delicatessens and other specialty shops. You’ll meet artisans whose families have traded for generations producing great food as well as new arrivals to the food scene bringing new international tastes and food ideas to the Irish table. And you will taste Irish produce served in both traditional and contemporary styles. As you enjoy the food, you’ll also learn a little about the culture and history of each neighborhood. 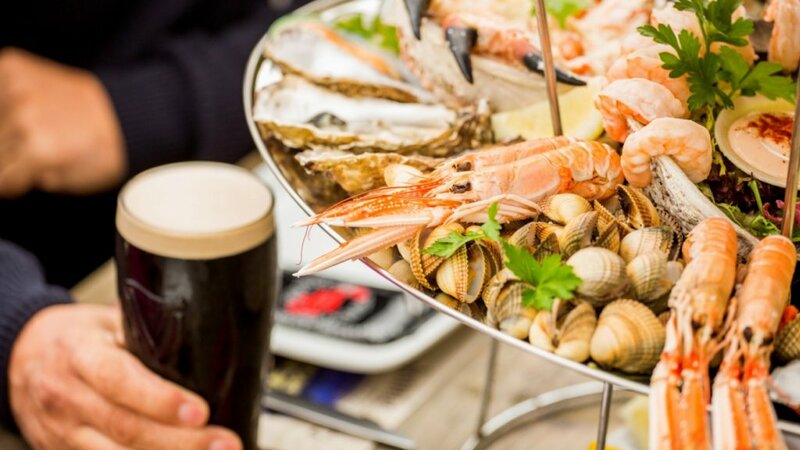 Those familiar with the city will be amazed to discover food outlets and tasty surprised they never knew existed and visitors will leave with an insider and up to date knowledge of the best of what is happening food-wise in Ireland. Gentle 2.5 hour culinary walk has lots of stops with frequent, generous tastings along the way. We point out good places for lunch, dinner or a pint, though after all the tastings you won’t need lunch for a little while after this tour. We cater for vegetarians and all other dietary requirements. Please let us know in advance. Meet your Driver guide. From Dublin to Ballyknocken is about 1h drive. Day Class Ballyknocken Cookery School is scenically located on a 350 acre farm only a short drive from Dublin City Center. Head chef, proprietor and food writer, Catherine, is a true foodie and now has 3 TV series, and 2 cook books. She has made many media appearances and is a familiar face on major international TV channels such as Discovery, NBC Today Show, The Food Network and BBC Good Food Channel’s Market Kitchen to name a few. Meet your walking guide today. Kilkenny is a city with great food, great craft, great history and what better way to get to know it but through that food, that craft and that history. Our exciting Kilkenny Tasting Trail launched last summer and is a unique combination of fabulous food, great crafts and a little history and architecture. We know how to make a morning in the city an unforgettable experience for locals and visitors alike. Our guides will introduce you to Kilkenny’s many unexpected culinary and craft treasures on a 2.5 hour leisurely walk, peppered with fascinating and light-hearted snippets of information on the city’s history and architecture. Along the way we meet some of Kilkenny’s gifted crafts people who show their skills and share their secrets and in between we stop to taste some of the city’s best food. What makes it fun for all is a shared interest in good food and curiosity. Gentle 2.5 hour culinary walk has lots of stops with frequent, generous tastings along the way. We point out good places for lunch, dinner or a pint, though after all the tastings you won’t need lunch for a little while after this tour. We cater for vegetarians and all dietary requirements. Just please let us know in advance. In the afternoon head to Thomastown for the sheep dog demo and historical tour. Be at Jerpoint Park at 4pm. Enjoy the unique private experience at Jerpoint Park with a warm Irish welcome by the owners. Where heritage and culture is in abundance in a very special destination at Thomastown, County Kilkenny, South East of Ireland. Unearth the history of Jerpoint Park with a Guided Heritage Tour of the footprints of a deserted 12th Century Medieval Town plus the Tomb Effigy of St. Nicholas (Bishop of Myra). It was founded near a crossing point of the River Nore is situated close to the well preserved Cistercian Jerpoint Abbey. The site contains the standing remains of a domestic tower, the ruined Church of St. Nicholas, well preserved outlines of burgage plots and some remains of house platforms. St. Nicholas who became Bishop of Myra was born in 2nd Century and died in 3rd Century. Legend has it that the crusaders Denn Frayne brought St. Nicholas’s remains to Jerpoint around the 12th Century. On the first ordnance survey map of Ireland in 1839 the Tomb of St. Nicholas is marked on this site. Experience s Sheep Dog Demonstration with sheep or geese is a wonderful event to observe, where man and dog work together as one. Gain a wider understanding of handling these lovely, intelligent dogs and how it is done with one handler. Today spend time exploring Cork City with the driver guide. Start at South Main St., one of the principal streets in medieval Cork where traders and sellers would have brought their wares. On your left you will notice a Tudor style building, once the site of the Beamish Crawford brewery which was founded in 1792. This site was used for brewing since at least 1650 and possibly as early as 1500. Beamish stout remains very popular with Corkonians. Continue down South Main St. where you will come to the junction of Washington St. This is a popular area for evening entertainment and restaurants such as Ireland’s famous Café Paradiso (Tel: 021 4277939), a specialist vegetarian restaurant with an emphasis on seasonal produce which is located further down the street on your left at 16 Lancaster Quay. Cornmarket Street, popularly known as ‘The Coal Quay’, has many buildings that have been renovated and now house popular bars and restaurants which come alive in the evenings. The street’s formal name derives from the 18th century corn market that once stood at its Castle Street end. Markets are part of the life and history of this street. Until the 1960s, the street was a food and clothes market, run by the ‘shawlies’ who were women dressed in the traditional Irish black shawl. The street market survives and is at its busiest on Saturdays (9am - 3pm). Find the Franciscan Well Brewery on North Mall. A Franciscan friary founded in 1229 once stood in this area. A nearby well, legend has it, was said to have curative properties and the brewers now draw on this to produce their chemical, additive and preservative free Larger, Ale, Stout and Wheat Beers. Cross over Patrick’s Bridge and take a right down Lavitts Quay until you come to Emmet place on your left which is the location of Cork Opera House and the Crawford Gallery. Emmet Place was once a dock servicing the city’s ocean-going trade. Leaving the gallery, take a right and cross over Academy St. and into Paul St. This area to your left is known as the Huguenot Quarter. The Huguenots, who settled in Cork in the 17th century, built their church here in French Church St. and today you can see the remains of their restored graveyard in Carey’s Lane. The area around Paul St. has many interesting cafes, boutique stores and attracts many street performers. In French Church St. is O’Connail Chocolates. Casey O’Connaill, from his store in Carrigaline (just south of the city), produces truffles, bars, novelties, seasonal treats, cooking and drinking chocolate all of which are available here in his city center store. Walking down French Church St. enter Patrick St. or ‘Pana’ as it is more locally known. The great thoroughfare of Patrick St. the lifeblood of the city, began life as a waterway; it was only covered over in the early 19th century. Meeting under Mangan’s Clock was a famous tradition for young couples. Take a right and walk down Pana until you come to the junction of Princes St. on your left. Down this street, you will notice the red brick building on your right which is one of the entrances to The English Market.The English Market, an indoor market (Mon - Sat 9am - 6pm), is a Victorian wonderland of exciting local produce and imported goods. Leave the English Market through the Grand Parade exit; turn left which will bring you to the tourist office from where you began your walk. Food markets are set up along the streets during the main city festivals such as St Patrick’s Festival, Cork Midsummer and Christmas. You can also sample and purchase local produce in the farmer’s markets in the suburbs (Blackrock (Sun 10am - 1pm), Mahon Point Shopping Centre (Thurs 10am - 2pm), Douglas (Sat 9.30am - 2pm). One of Cork’s Master bakers is Declan Ryan from Arbutus Breads in Mayfield (north of the city). His produce can be sampled and purchased at On the Pig’s Back, English Market as well as the farmers market at Mahon Point Shopping Center. In the morning visit Kinsale is reputedly Ireland’s Gourmet Capital and with good reason. Food is celebrated in this seaside town with its myriad of eating establishments from cozy cafes and wine bars to casual bars and fine dining restaurants. The medieval town of Kinsale is not just about food. It’s also about traditional bars, beautiful buildings, narrow streets, shops and galleries and lots of activities on land and sea. There are numerous craftspeople near Kinsale such as Adrian Wistreich’s Kinsale Pottery Center located just outside the town in Ballinacurra (www. kinsaleceramics.com); Sara Roberts’ Sramics in Nohoval (www.sramics.com) and Hilary Hale’s Woodturning in Summer Cove, Kinsale (www.hilaryhale.com). Kinsale Silver and Kinsale Crystal can also be found in the town. Kinsale Crystal can also be found in the town. Leaving Kinsale, take the R600 coastal route to Timoleague. Just outside Kilbrittain is Casino House (Tel: 023 8849944) which serves wide ranging seasonal menus based on the finest local ingredients. A large Franciscan Friary is located on the waterfront in the pretty village of Timoleague. In its day it was one of the largest and most important of the religious houses in Ireland. Just a few miles from the village is Ummera Smoked Products. The natural flavor and texture of the Wild Atlantic Salmon, blended with careful curing and gentle smoking over smoldering oak fires ensures the finest smoked salmon. In 2002, Ummera was awarded the Organic Trust symbol for sourcing, processing and distribution of Certified Organic Smoked Salmon. In the afternoon make way to Kildare (about 2h 45min drive). Check in to K Club. Evening: Private Whisky Tasting at K Club. Private transfer to Dublin Airport 30-45min.